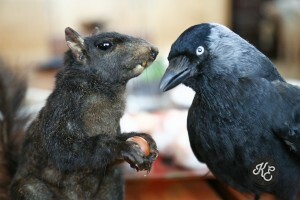 I had the privilege this weekend to photograph and document something a little different! 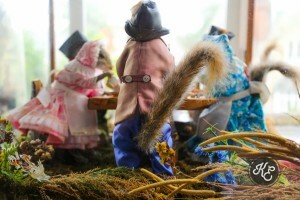 The collection of Curious Kanna (www.CuriousKanna.com), a collector of Taxidermy and oddities in Ealing, London. Before I arrived I was worried, being a animal lover that I would be a little freaked out, but I think I always knew my curiosity would take over! As soon as I saw her amazing and large collection of animals, oddities and collectibles I was fascinated. The majority of her pieces are extremely old and date back through both World Wars and many come from closing Victorian museum collections or even older! I think the thing that interested me the most is each piece has a story, unlike some misconceptions, these weren’t all trophy animals killed to be mounted on a wall. Some died from natural causes, have been used as educational pieces and works of art. 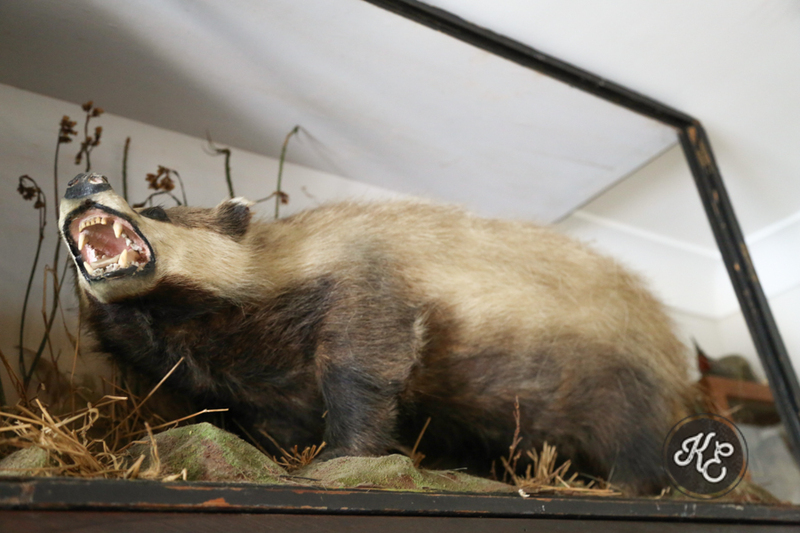 A huge Badger she has, was actually killed when it attacked soldiers fighting in the battle of the Somme and was preserved and brought back home. The history that this collection has is astounding. I understand that Taxidermy and preserved animals isn’t everyone’s cup of tea, but whether or not you would like to have a piece at home, there is definitely something everyone can relate to within this collection. 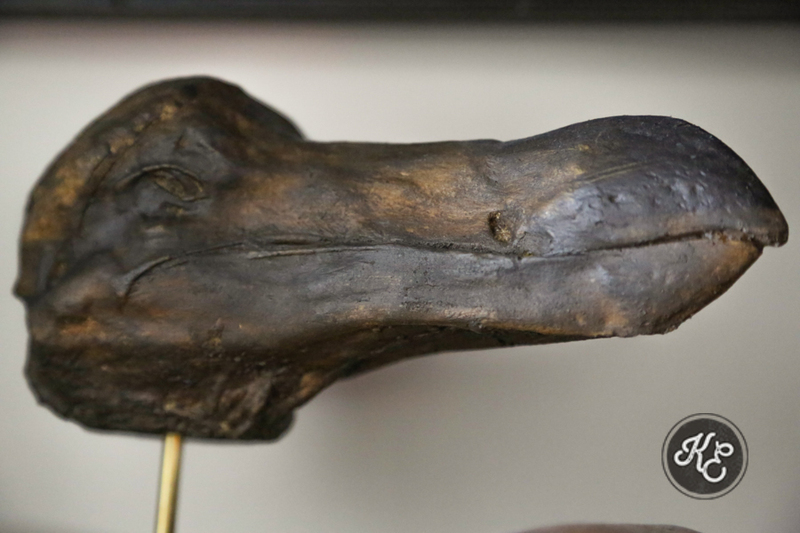 From a two headed calf, to a cast of the last preserved Dodo specimen, this collection is a beautiful insight into evolution, nature (its miracles and its freaks) and our artistic creativity, documented and expressed by our Victorian ancestors, as well as many of the skilled artisans who still perform this craft today. I look forward to the next shoot and thanks again to Kanna for inviting me to explore this fascinating collection. Alternatively visit the album here for more images.